What do a Philadelphia delicatessen, church, square, bank, sculpture, football field, museum and prison have in common? They share the spotlight of movie fame. 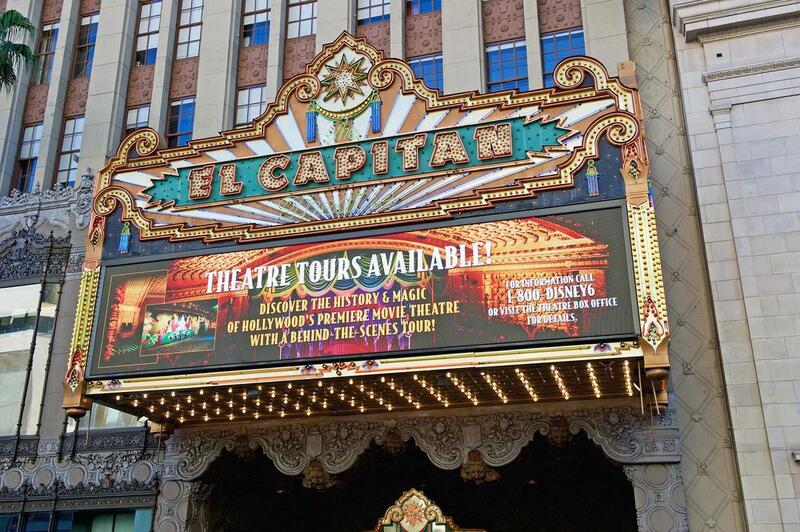 We’ve rounded up just a few examples of the city’s film-worthy sites. If you’re into movies, you might want to take a tour of some of these famous silver-screen locales and find out what makes The City of Brotherly Love so attractive to film producers. 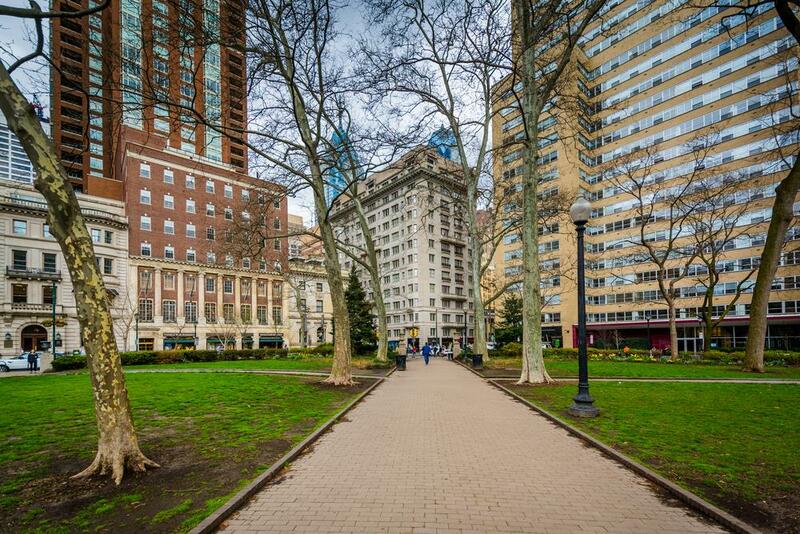 Claim to movie fame: In the opening scenes of Trading Places, Billy Ray Valentine (Eddie Murphy), is down on his luck and begging in Rittenhouse Square. That’s before he “trades places,” taking on the ultra-rich lifestyle of stockbroker Louis Winthorpe III (Dan Aykroyd). While you’re there: There’s no need to reenact the begging scene at 18th and Walnut. However, since you’re already in the center of the movie’s action, consider taking a Trading Places tour. You can stroll southwest a few blocks to see Winthorpe’s house at 2014 Delancey Street. Then if you go east to 135 South Broad, you’ll find the Wells Fargo building. In the movie, it was the Duke and Duke Bank, where Valentine assumed his stockbroker role. Claim to movie fame: The outside of this delicatessen featured in the movie Philadelphia about Andrew Beckett (Tom Hanks) a lawyer suffering from AIDS. When his firm unlawfully fires him due to his diagnosis, he decides to file suit but has a hard time recruiting a lawyer to represent him. A dramatic turn of events occurs after Joe Miller (Denzel Washington) leaves the Famous 4th Street Delicatessen, pastrami sandwich in hand. He finds Beckett and declares he will be his lawyer. While you’re there: According to their menu, you can still try a pastrami sandwich. Reviews say the meat is tender and the portions are large. While you’re there: Feast your eyes on the church’s stained-glass windows, beautiful sanctuary and especially its frescoes — people believe they are the oldest in a religious building in the United States. Claim to movie fame: In the sci-fi thriller Twelve Monkeys (1995), also starring Bruce Willis, the Eastern State Penitentiary was used to depict a post-apocalyptic mental hospital. 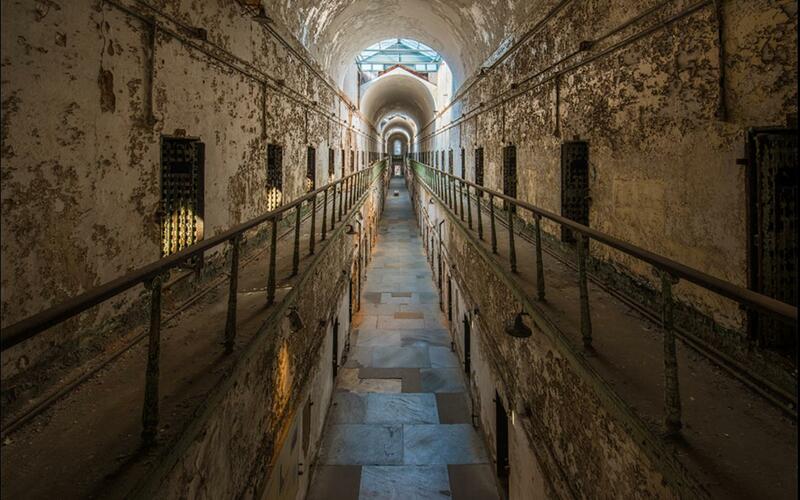 While you’re there: Take a tour of the prison. Visitors recommend the audio tour, which enables you to go at your own pace and focus on your areas of interest. You might want to wait for moderate temperate weather, however, because it’s known to be cold in the winter and hot in the summer. Claim to movie fame: In National Treasure, historian Ben Gates (Nicolas Cage) searches for a treasure that’s supposed to stem from the birth of the nation. 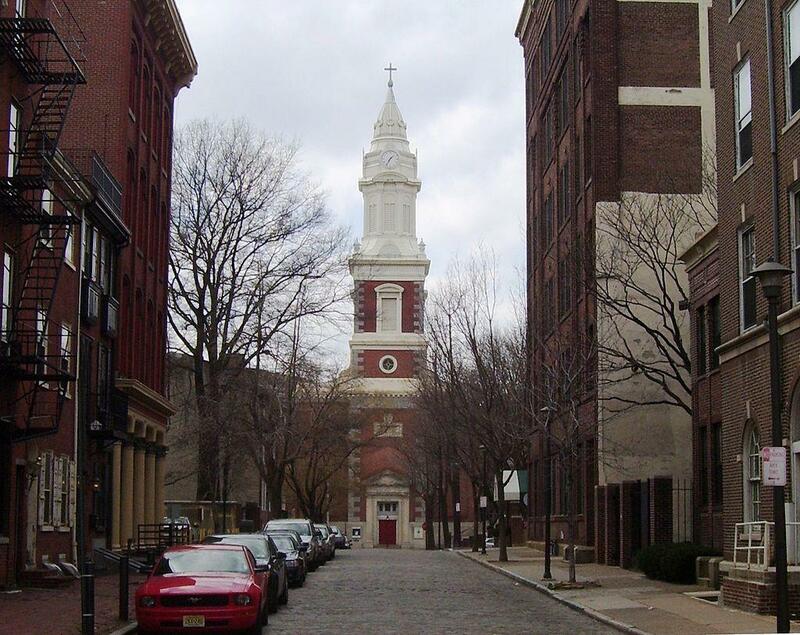 One of the many chase scenes takes Cage through Society Hill and includes scenes at Old Pine Street Church and Headhouse Market. While you’re there: Visit the churchyard at the Old Pine Street Church. You’ll find tombstones of 3,000 Philadelphians from the late 18th and early 19th century. 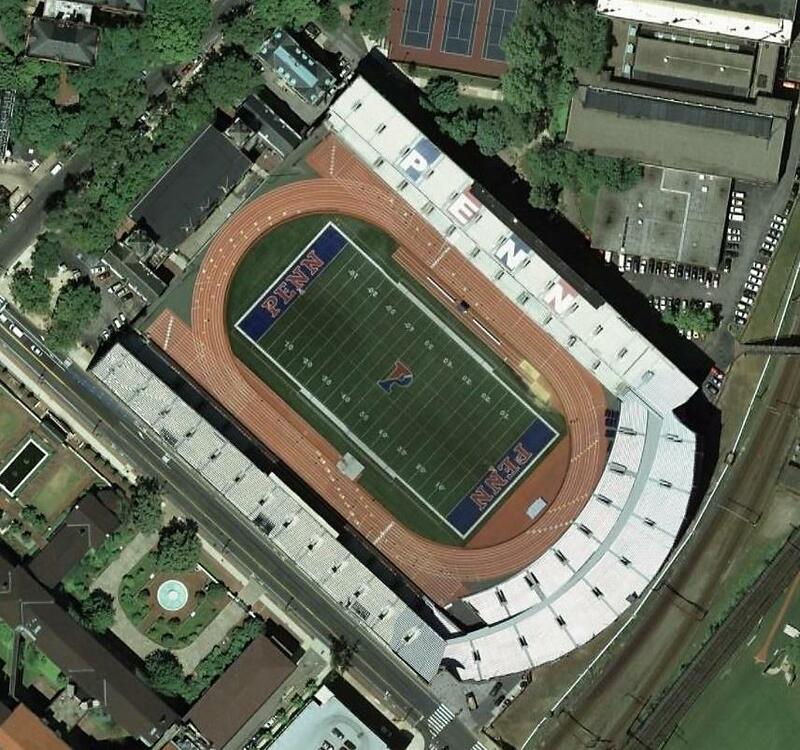 Claim to movie fame: The star of Unbreakable, David Dun (Bruce Willis), who survives a gruesome train wreck, works as a security guard at Franklin Field. Claim to movie fame: Rocky is, of course, the iconic Philadelphia movie. 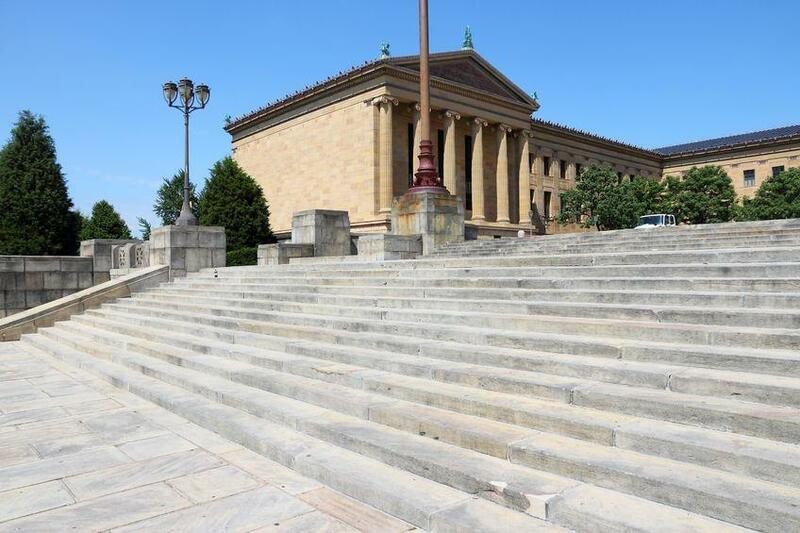 In that film and all but one of its sequels, Rocky (Sylvester Stallone) ran up the steps of the Philadelphia Museum of Art in his quest for fitness. The scene is so well known that the steps are sometimes even called the “Rocky Steps.” As an aside, here’s a fun Philly fact about Sylvester Stallone: he once lived in Holme Circle in Northeast Philadelphia. While you’re there: If you’re ready to test your mettle, try conquering the 72 steps. When you reach the top, a view of the Benjamin Franklin Parkway and Philadelphia City Hall will be your reward. If you’re not up for such a strenuous workout, just take a selfie standing next to the Rocky statue, conveniently located at the bottom of the steps. 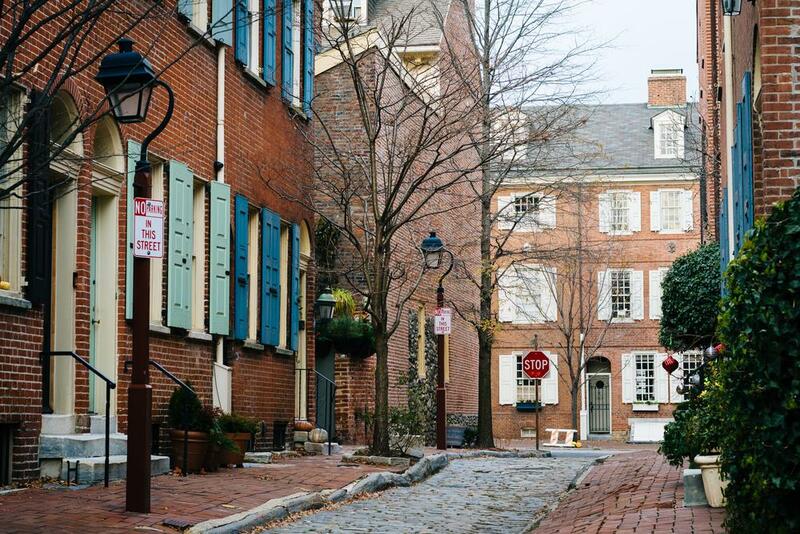 That’s just a small sampling of the varied Philadelphia backdrops that draw movie-makers to the city, but it’s enough to know there’s something worth exploring right at our doorsteps. *Check before you go, to confirm the event calendar and other details. Carolyn Frith, a content consultant who owns Carolyn Frith Marketing, aims to rid the world of snore-and-bore writing on the web. 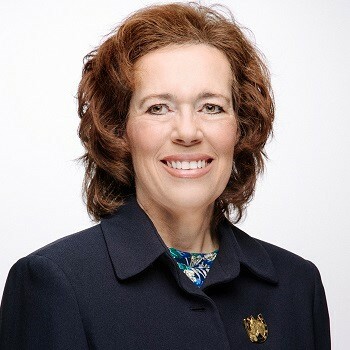 Topics she covers range from Philadelphia events and real estate options to a range of other content.